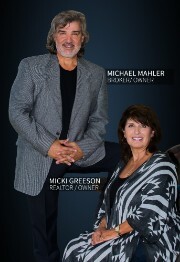 Hi we're Michael Mahler and Micki Greeson the founders and owners of MedPro Homes. We have always believed our beloved medical community is a vital link in the chain of success our area has enjoyed for so long. We created MedPro Homes to serve medical professionals in a way they deserve with the special attention to the details that make real estate transactions go smoothly. In appreciation for the honor of working with you we give significant rebates to buyers and commission reductions to sellers. MedPro Homes is a hi-tech full service real estate company that cuts no corners and truly appreciates the opportunity to serve those that serve us so well. Remember It Pays To Go MedPro!